Ecommerce continues its meteoric growth. As of 2016, online sales accounted for 8.3 percent of all sales in the United States. Research firm, Forrester, predicts that online sales will skyrocket to $459 billion in 2017, totaling 12.9 percent of retail sales. The vast majority of merchants, however, spend a significant portion of their time just trying to figure out how to compete with Amazon. Understandably so, considering that the retail behemoth is poised to garner nearly half of all online sales this year. In an effort to contend, many retailers are trying to set themselves apart by creating deeply personal and highly curated experiences online. Most of these are powered by AI technology. Through various avenues — from supplying virtual buying assistants to enhanced customer support portals — artificial intelligence is improving the online shopping experience for consumers and placing power back into the hands of smaller organizations. Shoppers are empowered to find the best prices online while receiving expedient and efficient support. Merchants, on the other hand, are given the means to achieve augmented analytics data on consumers and save money by employing the technology in place of a human. Various ecommerce companies already leverage AI to provide superior experiences. For instance, Netflix employs AI to present personalized recommendations to subscribers based on their movie and TV preferences. Under Armour leverages IBM’s Watson to assist customers in monitoring their health and exercise habits. Over the next several years, AI will come to fully harmonize its offerings with the ecommerce space. Here are 3 ways the development of ecommerce AI will revolutionize the industry. 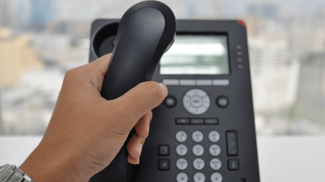 Since the advent of the consumer-focused internet, sales techniques have become exponentially more sophisticated; well beyond cold-calling or even television commercials. While folks are still influenced to buy through TV spots, they now also look to various social media channels like Instagram and Facebook for shopping inspiration. This is what has made companies like Yotpo a popular tool for digital brands that recently raised more than $50 million to further develop their AI platform. This service enables businesses to collect, curate, and manage various forms of user-generated content to provide the social proof a business needs to drive increased sales and provide consumers with a more natural way of uncovering great products. Another unique way for customers to discover merchandise they’ll love comes from clothing retailer, The North Face. This activewear brand leverages AI to help customers find the perfect jacket. The company does this by utilizing voice input technology to ask customers questions about when and where they will be using the jacket. The company’s system then scans its entire catalog to establish which items would be an ideal match for the customer’s needs. The AI also considers its own researched information, such as potential weather conditions in the area the buyer will be in. 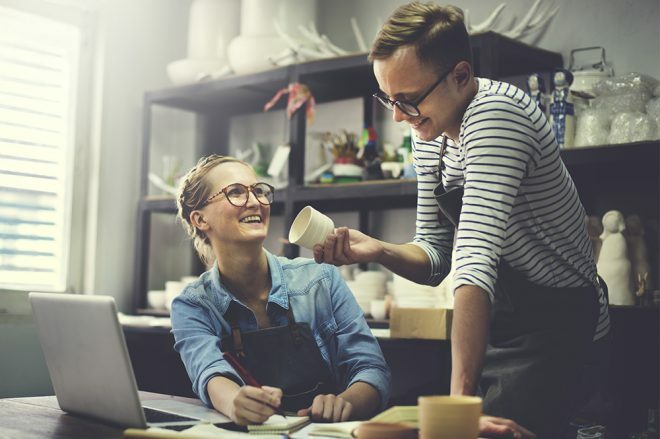 Through these types of interfaces, businesses can create highly-refined sales processes that assist in enhancing customer experiences and sales. Though tides are beginning to shift, the way that most customers search for items they want to buy is through a text-based interface; type your keywords into a search box and websites return a list of items matching that description. What’s becoming more commonplace, however, is visual search; an AI-powered modality that evaluates an image submitted by customers, and then finds comparable products. 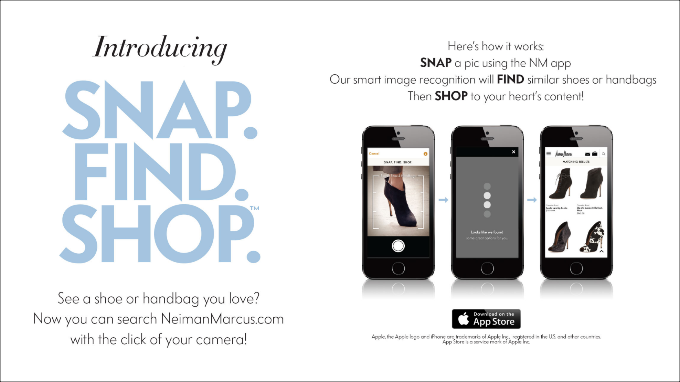 One retailer who has become somewhat of an innovator in this space is Neiman Marcus. The high-end merchant employs this visual search technology to empower app users to take pictures of real-world objects, which the app then finds and presents similar items from the company’s offerings. In addition to the visual realm, more consumers are turning to voice search. Most are familiar with the technology through Google search on mobile, but shoppers are beginning to leverage the technology as well. Voice search is currently popularized by voice assistants Alexa and Siri. These AI companions have made it necessary for various ecommerce stores to restructure their pages so they can accommodate these types of searches. Now, consumers can order products directly from Amazon using the company’s voice-controlled at-home devices, Echo and Echo Dot. ComScore predicts that 50 percent of all web searches will be voice-activated by 2020. 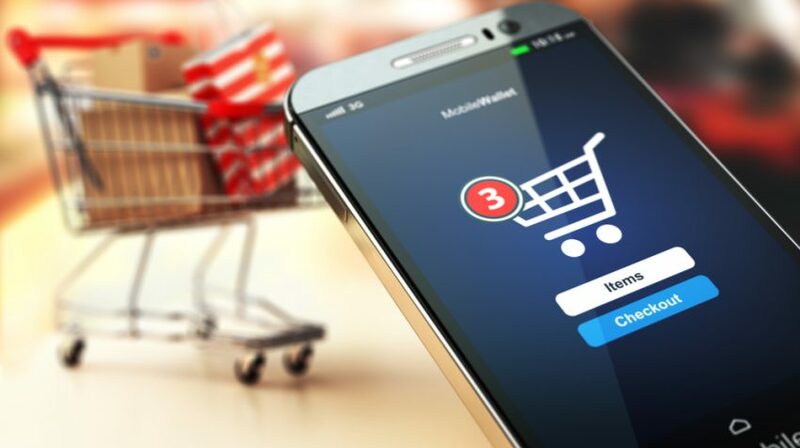 As this technology continues to become popularized, an increasing number of retailers will begin to adopt these alternative search functions too. Personalized interactions are a major factor for consumers, and we’re just seeing the beginning of this transformation. While many of the uninitiated may consider the prospect of AI intervention to be something that would dehumanize customer interactions, the technology actually serves as a vehicle for brands to provide consumers with exponentially more personalized encounters. Since artificial intelligence can analyze enormous amounts of data in a more efficient way than teams of humans can, the technology gives businesses a window from which new insights can be gleaned. Observations regarding customer patterns, purchase habits, likes and dislikes, and various other behavioral metrics can be uncovered and applied in a way that makes for a more personalized shopping experience that hooks consumers in a profoundly deep way. AI technology provides businesses with timely insights into consumer preferences and behaviors that can help ecommerce pages serve up items that exceed all customer expectations, thereby increasing sales and satisfaction. Artificial intelligence is in the process of revolutionizing the ecommerce industry. The innovations they present give businesses unique and affordable new ways to reach and woo consumers, and these features make it possible for even the smallest online store to finally go toe-to-toe with the Amazon behemoth. Ecommerce AI is leveling the playing field, which is especially good for both businesses and buyers. AI is really going to grow further in the next year. Its integration with online platforms will only make it better especially if it is integrated with ecommerce.